ShopDisney.com has added the Star Wars Toybox Millennium Falcon Playset to their site. The playset features lights and sounds and includes Exclusive Han Solo and Chewbacca Toybox figures. Thanks to Adam Pawlus for the heads-up. 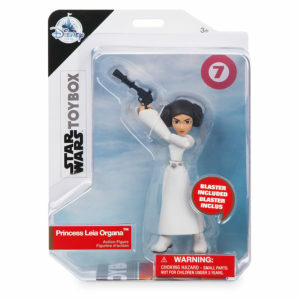 New images for the upcoming Princess Leia Organa Toybox figure have been posted at DisneyStore.co.uk. Look for it to be available in stores and online in the US soon. 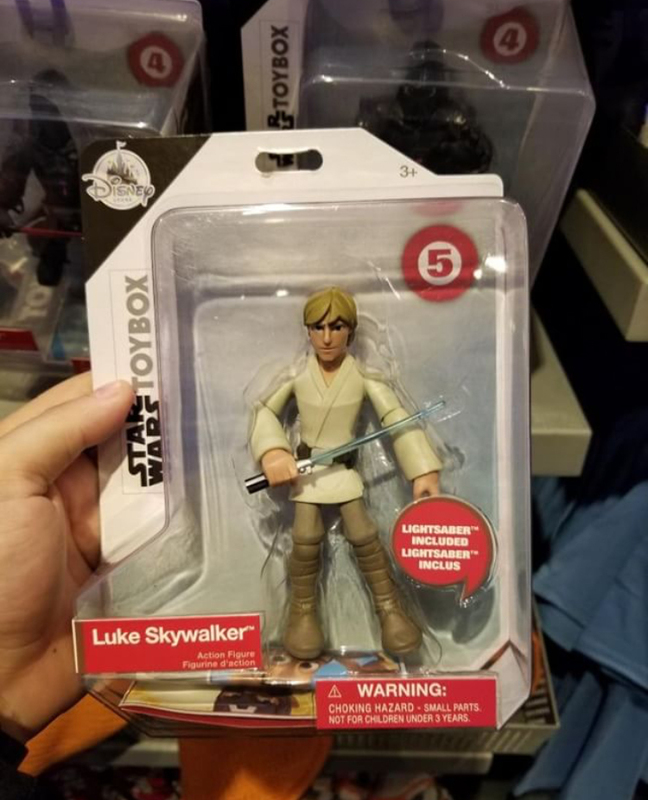 Thanks to a tip from Instagram follower Yumabooma, we can confirm that the Disney exclusive Star Wars Toybox Luke Skywalker figure (#5) was released today at the Star Tours store at Disneyland. 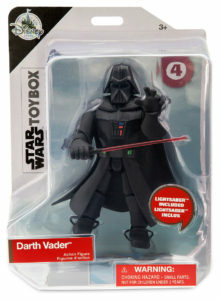 Look for it and Boba Fett to hit ShopDisney and Disney Stores next month. I managed to swing by my local Disney Store over the lunch hour to pick up the first wave of New Star Wars Toybox figures that includes Rey, Kylo Ren and First Order Stormtrooper. First off, the figures are much larger than I realized as you can see in the scale comparison image above. The figures boast 14 joints which, for Rey, breaks down as follows: Ball-socket neck, insert-molded/ball-jointed shoulders, elbows, wrists, hips, knees and ankles and a swivel waist. That’s 26 total points of articulation! 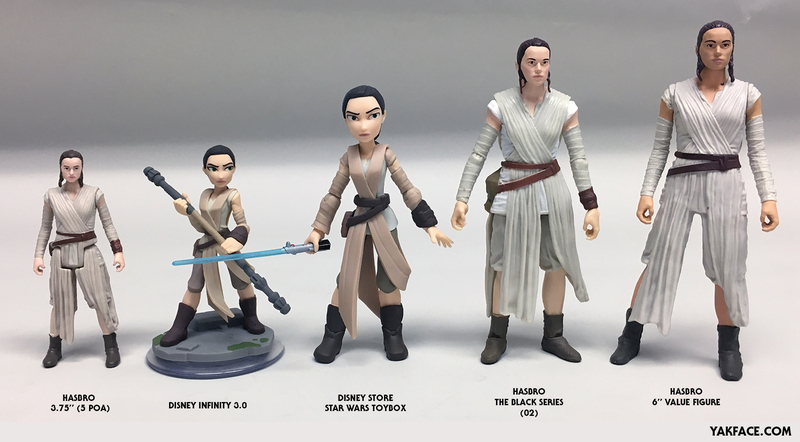 Look for a full Toyguide entry for Rey and the other figures soon. 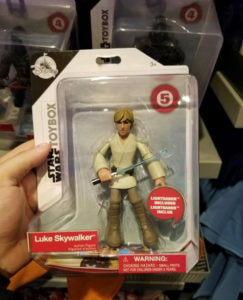 Dan over at StarWarsCollector.com has posted carded images for the first wave of Star Wars Series Toybox figures hitting stores this Friday. Head on over to check them out. Jason Inquires has posted the first look at the packaging for the upcoming Star Wars ToyBox figures. 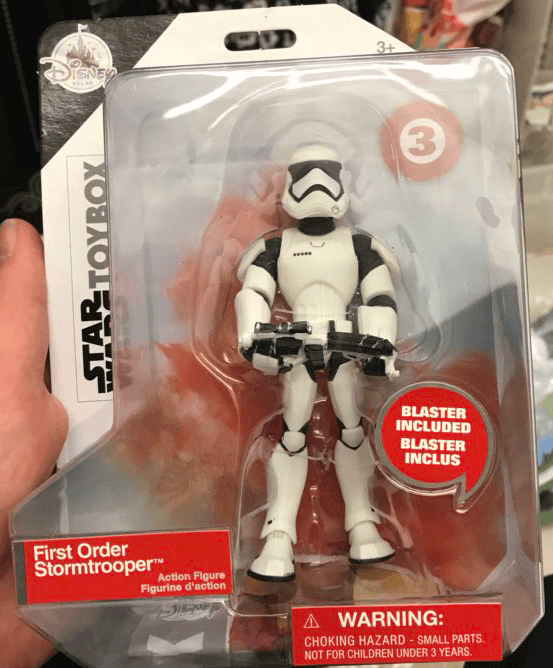 The first wave includes First Order Stormtrooper, Rey and Kylo Ren – each retailing for $12.95 each. Look for them in store and online exclusive the Disney Store.